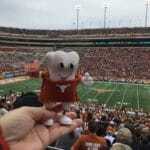 Tommy the tooth goes to the Longhorn Football game! Tommy with his longhorn football tickets. Let’s go! 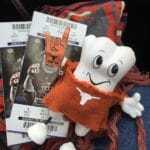 In the car on the way to DKR! Tommy loves to tailgate! 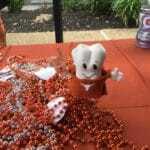 Hook’em! 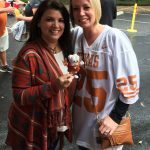 Kelley and Carrie came to tailgate too! Good thing Madeline is tall enough to help Tommy see the game! 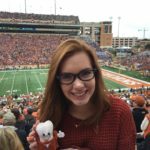 Let’s go Horns! At our Austin dental office, one of the first things we do when meeting new patients is go over a complete health history. What are we looking for? Things like diabetes, heart disease, etc. Why? Because they can sometimes cause specific symptoms that affect not just your overall health, but your oral health too. 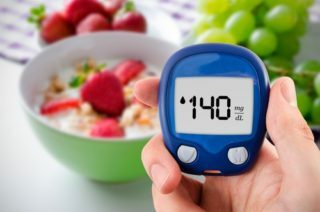 Diabetes in particular can lead to an increased risk of periodontal (gum) disease. Here are some frequently asked questions we get about diabetes and how it affects our oral health. We understand that maintaining your blood glucose levels isn’t always easy. But did you know that keeping these numbers stable also helps oral health too? It helps reduce your risk of losing teeth, gum disease, and other problems. Your Austin dentist knows that the presence of gum disease may also play a role in the rise of blood sugar, making diabetes even more difficult to regulate. At our dental office in Austin, we are always available to answer any questions you may have about diabetes and how it can affect oral health. Please do not hesitate to contact us if you have any questions or if you ever notice any changes in your mouth or teeth. Welcoming patients from Austin, Westlake, Cedar Park. 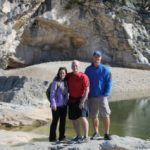 Dr. Cronin-Barron and her family recently enjoyed a camping trip at Pedernales Falls. This Texas State Park is located nine miles east of Johnson City and has a little something for everyone. 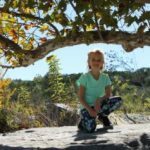 The Barron family enjoyed hiking along side the winding river and breathtaking falls. 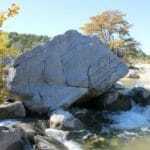 It is a great place to see the Autumn leaves and enjoy all that Texas nature has to offer. There are several campsites that offer electricity and water or more primitive sites for the adventurous backpacking types. 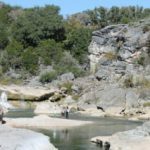 If you have not visited this Texas Gem, you should plan a trip soon! At our dental office in Austin we share the importance of maintaining excellent oral hygiene with our family of patients every day. It’s important to ensure your mouth is free from harmful gum disease and the bacteria that comes with it! Not only for your mouth’s sake, but your whole health. As we continue to see what happens with the possible gum disease and dementia correlation, our Austin dental office would like to remind patients about the importance of keeping up with your regular oral hygiene routine and seeing us for cleanings. Give us a call to schedule your next appointment! Accepting new patients from Austin, Westlake, Cedar Park and the surrounding areas.